Next Story Group’s regional vice president of operations gets The Nibbler lamp shone in the face and is forced to reveal all in our latest Big Cheese instalment. The Nibbler interrupted assistant director of sales at the Star Event Centre, Amanda Lovett’s lunch break for this interview. Luckily our questions were juicy and delicious. 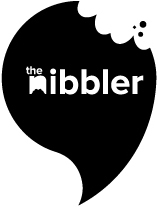 The Nibbler goes head to head with Outrigger’s director of sales and marketing for Thailand, Phuket and Koh Samui. Although that’s not to suggest there was any arm wrestling involved. This week, we made the general manager of voco Gold Coast Brenden van Blerk, tell us all his dirty little secrets. Ok fine, we just interviewed him. This week we got up close and personal with Seabourn’s Senior Director of Sales and Marketing, Australia and New Zealand until he requested we sit further away. This week we got up close and personal with CEO & Founder of Fastrack Group, Adrian Caruso, until he requested we sit further away. For this week’s midweek interview, we took a closer look at the Emporium Hotel, Brisbane’s general manager, Peter Savoff. That is, until he took a few hurried steps backwards. This week we met Park Hyatt’s director of sales & marketing, Edwina San, for a quick coffee or five. Oh, and this interview. This week, we chewed the ear off The Ritz-Carlton, Koh Samui’s Yannick Gregory Mauchle. His hearing isn’t great now.